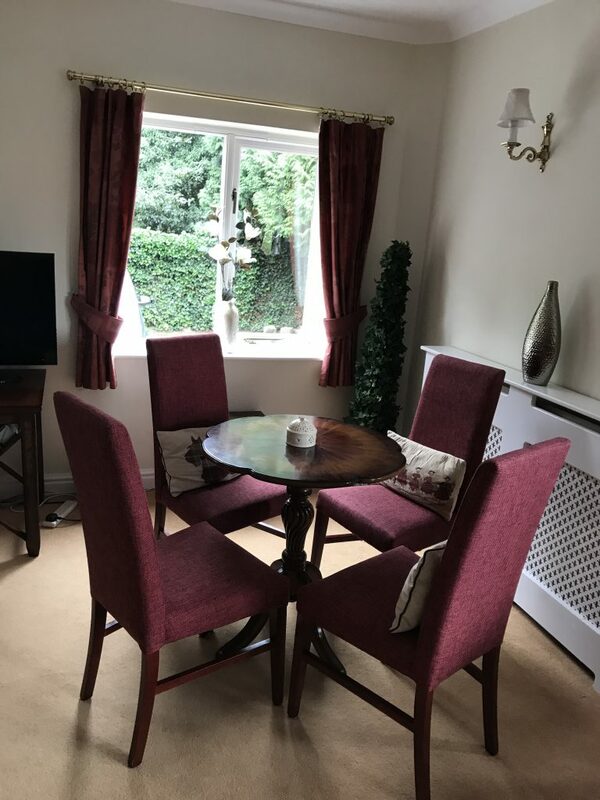 Enjoy a game of dominoes or cards with some friends in one of our sitting rooms. 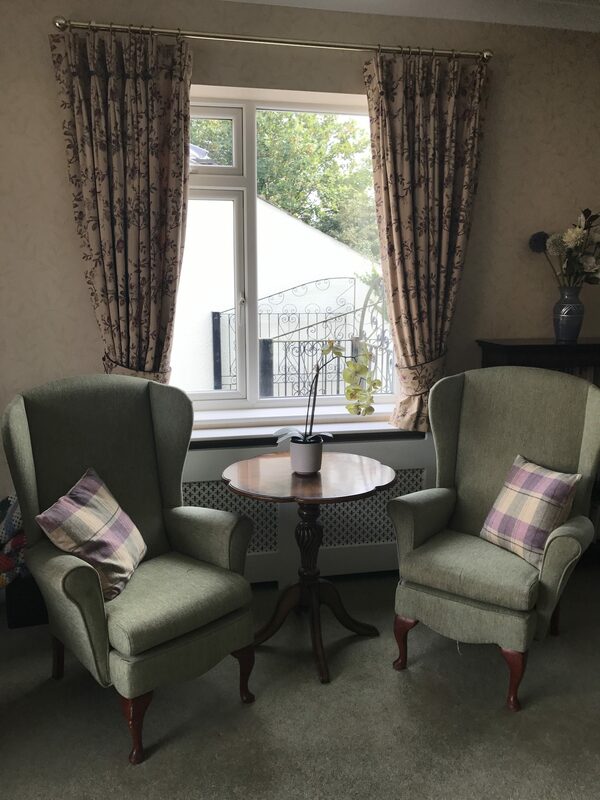 In the Library you can enjoy reading your latest magazines, newspapers or just enjoy the view out of our large bay window and watch the world go by. Or join in with one of our sing a long afternoons. 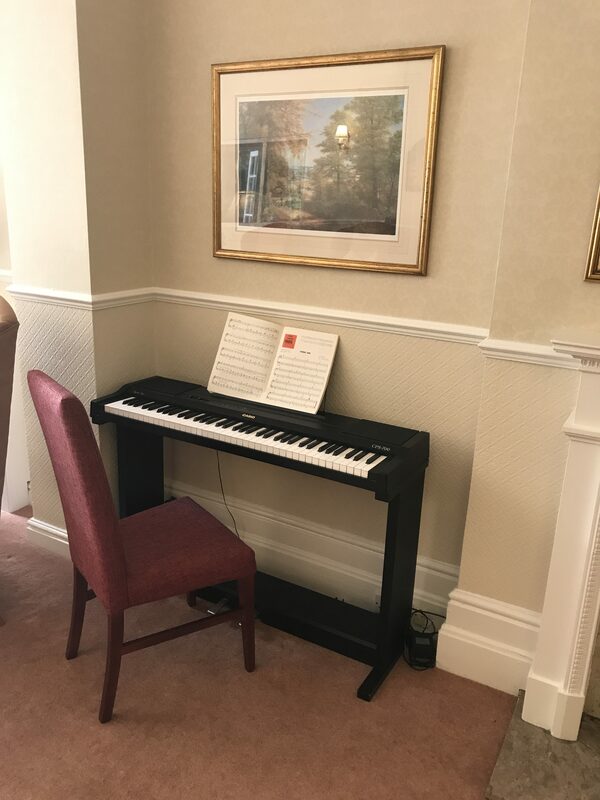 At Kibworth Knoll we have a variety of activities and entertainment with something happening everyday. We have frequent visits from church choirs, singers, musicians, entertainers and a host of in-house events. 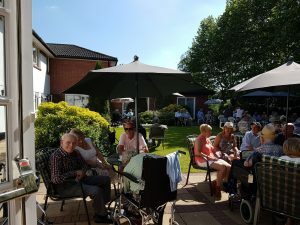 Regular Garden and Tea Parties are included as part of our entertainment programme as well as our annual Christmas Pantomime, which is always eagerly awaited from a theatrical company who visit us. We also enjoy celebrating all birthdays and play bingo, dominoes as well as other games and quizes and if you feel up to it, you can also consider participating in our regular indoor exercise classes! Our Activity Co-Ordinator will also assist you with baking and arts & crafts throughout the week. We also have a lovely garden to tender to and we also grow a small amount of vegetables each year. However, if you prefer to enjoy your own personal past time activity for example, reading the newspaper in the library, knitting or painting we can assist you to carry on with your preferred activity. We regularly visit our local village coffee shop and if you need any shopping we are always happy to collect it for you or take you to the village High Street so you can have a browse around the shops yourself. There are no additional costs to our residents to enjoy everything on our monthly programme.